Authors should follow the Harvard Reference System (Harvard Reference examples) and carefully check their manuscript before submission. 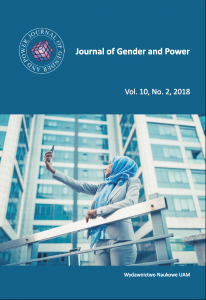 Copyright of the article published in the Journal of Gender and Power is retained by the authors with first publication rights granted to the journal. Two issues per year will be published, both in print and on-line (as a PDF file).